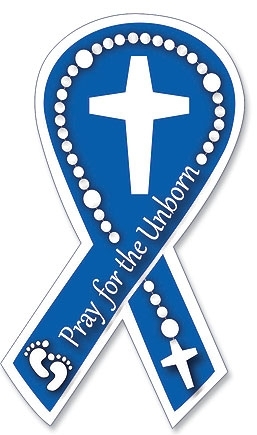 This ribbon auto magnet is the perfect way to encourage others to pray for the unborn and the end of abortion. Includes a cross cut-out at center along with a simplified rosary. Perfectly priced for gifts and give-aways.